Metaphors of Movement takes the guess work out of change work. It is a precision tool to help you home in on the client’s exact stuck point and how they are maintaining their problem state. 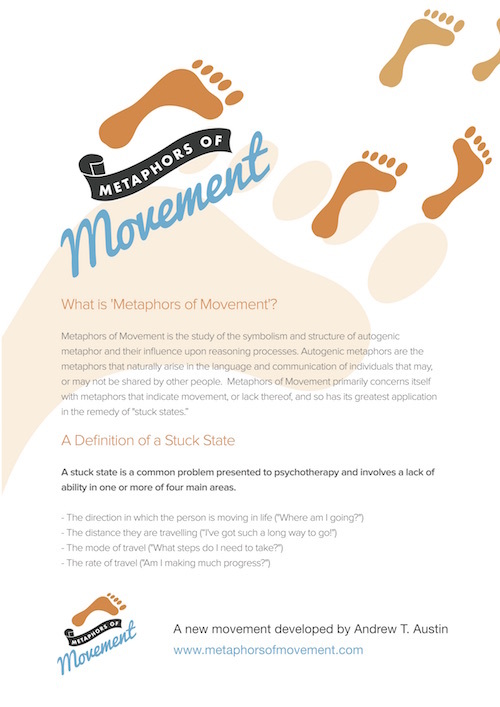 Metaphors of Movement has been taught across the world, including India, United Kingdom, USA, Poland, Sweden, Holland, Hungary, Israel and Japan. Attendees have included doctors and psychiatrists, counsellors, psychotherapists, NLP practitioners and trainers, hypnotherapists, prison and probation officers, police officers, teachers, security personnel and business leaders. 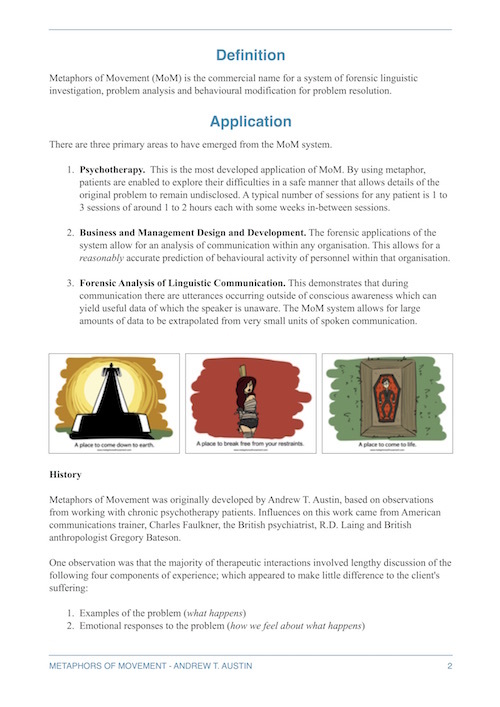 The structure within metaphor is hierarchical, and so it seems logical to structure the nature of the Metaphors of Movement work along the lines of this structure. The training is progressive with hints for the higher levels given in each of the trainings. These levels reflect the hierarchy, additional training modules as “Masterclasses” (such as the trainer’s training, The Dream Experiment, The Hero’s Journey Experience, and “The Initiation”) exist outside of this hierarchy.